Two analysts at Leerink, a boutique investment firm that focuses on the health care industry, said in a report Friday that Amazon (AMZN) will "almost certainly" get into the prescription drug distribution business within the next two years. Shares of the CVS (CVS) and Walgreen (WBA) drugstore chains both fell nearly 5% Friday following the release of the report. Pharmacy benefit management company Express Scripts (ESRX) dropped more than 2.5%. The stocks were all down again Monday. CVS and Walgreen dropped 3% further and Express Scripts fell 5% -- even as Amazon rose and the Dow and Nasdaq hit new all-time highs. Amazon said it had no comment about the speculation. But this wouldn't be the first time CEO Jeff Bezos has flirted with becoming a bigger player in the pharmacy business. Ana Gupte, one of the Leerink analysts, said other companies should be worried if Amazon is looking to do more in the mail-order pharmacy business. She said Amazon would pose a "meaningful competitive threat to existing players." 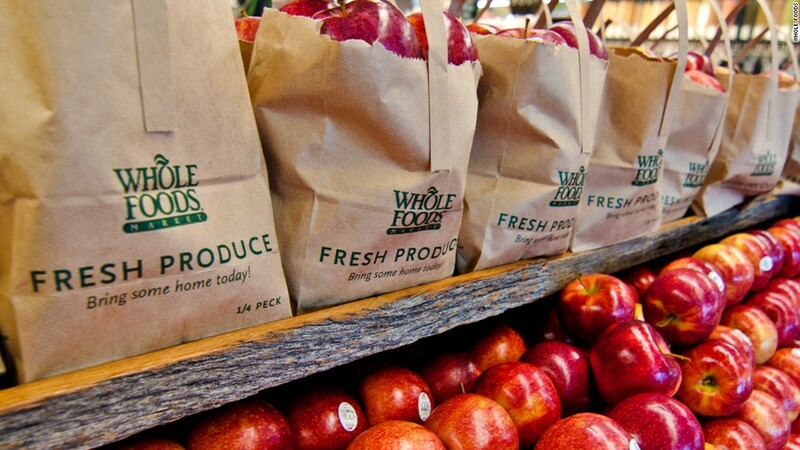 Amazon now owns Whole Foods, has opened more Amazon-branded stores and has done two deals with Kohl's (KSS), one to sell Amazon devices and another that lets shoppers bring goods to Kohl's for returning to Amazon. Even though many Americans have prescription drug plans through work, Larsen wrote that Amazon could "create a 'prime drug discount program' ... where some members could choose to purchase their pharmacy benefit through Amazon, not their employer." For their part, executives at both CVS and Express Scripts don't seem too concerned about Amazon as a possible competitor. CVS CEO Larry Merlo said on the company's most recent earnings conference call with analysts in August that "there are many barriers to entry when you're looking at pharmacy." And Express Scripts CEO Timothy Wentworth told analysts in July that setting up a pharmacy benefits management company is more than "dispensing drugs." Entering the business "requires you to figure out how not to dispense drugs or to dispense the right drugs as much as it does to dispense them," he said. In other words, Amazon may not want to deal with the regulations that come with selling medication. It's a lot easier to sell gadgets, make TV shows, run a cloud hosting unit and do all the other myriad things Amazon now does. Chatter about Amazon's possible move into the pharmacy business comes on the heels of another story suggesting that Amazon is looking to do more of its own deliveries, a move that could be bad for current shipping partners FedEx (FDX) and UPS (UPS). But Amazon told CNNMoney last week that it's not looking to replace its existing shipping relationships anytime soon.